Illegal immigrants deported to Mexico face an uncertain future, where few job opportunities await and an economy facing its highest inflation rate in 10 years. Mexico has opened legal aid centres in its 50 consulates across the United States to defend its citizens amid worries of a crackdown on undocumented immigrants. The centres will provide free legal assistance to Mexican citizens who feel that their rights in the U.S. are being threatened. On March 4th, Luis Videgaray, Mexico’s foreign minister, called on the U.S. government to respect the rights of Mexicans, and urged the U.S. to allow a path to legality for those without documents. “We are not promoting illegality,” Videgaray said in a video of an event at the Mexican consulate in New York provided by the foreign ministry. “It is becoming more than evident that to apply the law, which is the obligation of any state, it would also imply a real economic damage to this country which highlights the need for an immigration reform that resolves once and for all the legal status of the people,” Videgaray said. Mexico is worried about the impact that guidelines issued in February by President Donald Trump will have on the lives of its citizens. During his first month in office, Trump issued orders to initiate tougher deportation procedures, following up on campaign promises to build a wall on the U.S.-Mexico border, and crackdown on illegal migration. The Pew Research Center estimates that there are nearly six million undocumented Mexicans living in the U.S.. In late February, Videgaray expressed “worry and irritation” about Trump’s new policies to U.S. Secretary of State Rex Tillerson and Homeland Security chief John Kelly when they visited Mexico for talks on immigration and security. Meanwhile in response to looming deportations, the Mexican government has pledged to increase support for its citizens deported back to Mexico, including through its Somos Mexicanos (We are Mexican) initiative. One program operating under the Somos Mexicanos umbrella is known as PRIM, and provides basic services such as health screenings, food and ground transportation to bus depots to repatriated citizens. 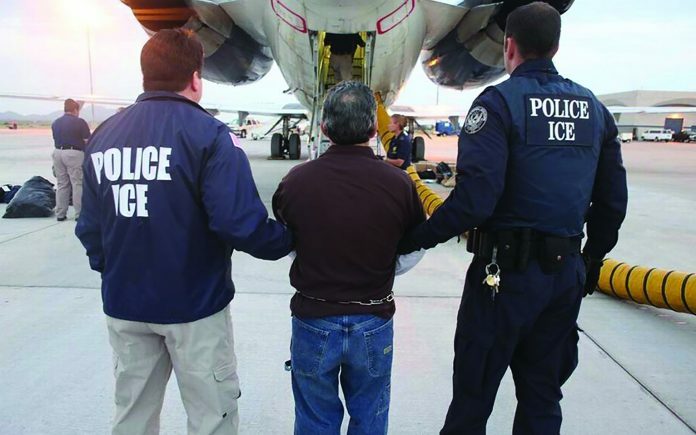 But the program remains limited in scope compared with the anticipated demand for such services if deportations increase dramatically. A weekend editorial in the Monterrey-based newspaper El Millenio observed that Mexico will struggle greatly to integrate hundreds of thousands of potential returnees into the Mexican economy. “The 10 percent of the undocumented Mexicans in the United States would be around 600,000 people, an unmanageable figure for the existing governmental or social infrastructure,” wrote columnist Federico Berrueto.